Canned Food Drive for Camp Out for Hunger! 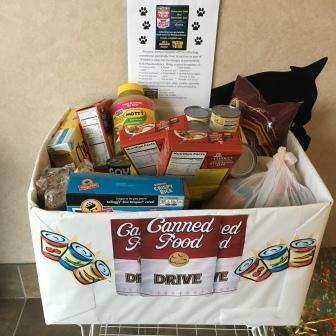 Winslow Animal Hospital is collecting donations until December 2 to contribute to 93.3 WMMR Philadelphia’s Camp Out for Hunger to benefit Philabundance. canned fruits & vegetables (low salt, no high fructose corn syrup).